Sale. 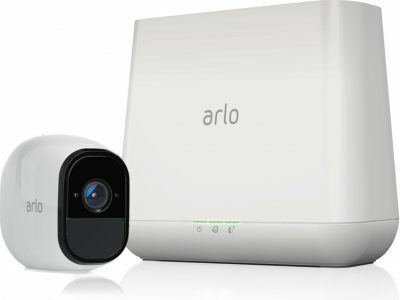 Amazon has an Arlo Pro Security System 1 Camera with Siren Sale, $185.00 - Free Shipping. Expires Soon - Highly Rated 4.2 out of 5 stars. Pro units come with rechargeable batteries and also allow local storage. We have one and can vouch for it. Works a lot better than the Arlo, we have tried both. Cameras are weatherproof and include motion detection, night vision, and apps.